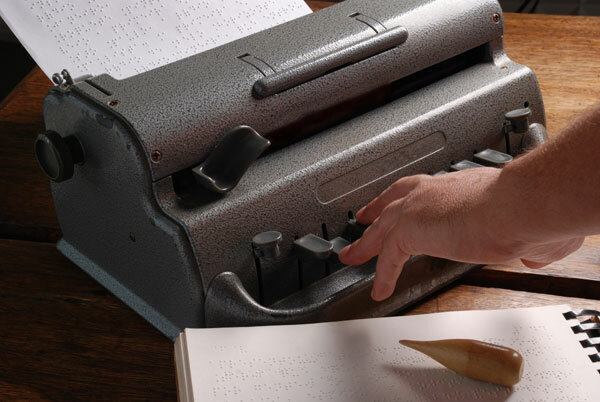 MBTF offers preventative maintenance and repairs on Perkins Braille Writers. The base fee is $35.00, plus the cost of parts, and actual shipping costs. We do not ship via Free Matter for the Blind due to accountability/tracking of your equipment. 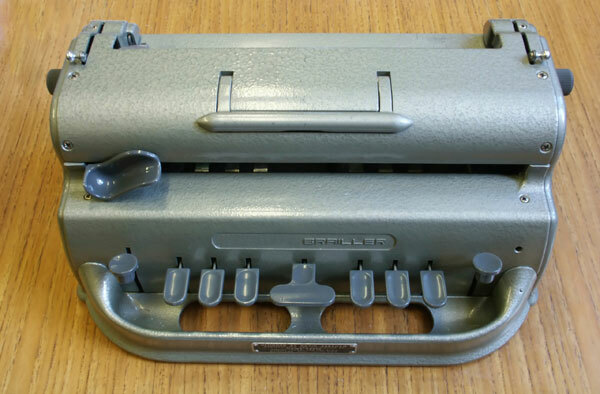 We do not repair the plastic Perkins Braille Writers. 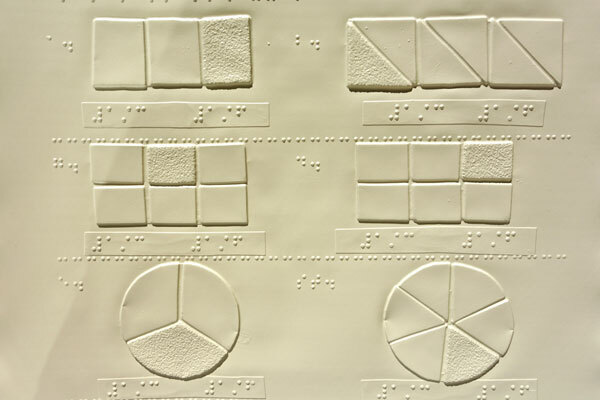 MBTF offers embossing service for your Braille2000 files only. We emboss on 11”x11 ½” paper. The cost for this service is $.10 a page plus actual shipping costs. Covers (plastic cover and heavy cardboard backing) and plastic comb binding are additional costs ($1.50 for each volume). Artwork and graphics can be preserved with thermoforming. MBTF offers thermoforming service for your master collage-style artwork. The standard size braillon is 11”x11 ½”. The cost for this service is $.20 a page plus actual shipping costs. MBTF is not responsible for any damage to the original artwork due to the heat of the thermoform machines.